Aerosmith guitarist Joe Perry has revealed that the Boston band has postponed plans for a US tour later year in order to return to the studio to work on a new album. Beyond a potential follow-up to 2012’s “Music From Another Dimension”, the group will launch a summer European run of the “Aero-Vederci Baby!” trek in May as part of what’s been initially promoted as a farewell tour, but the guitarist says that may not be the case. 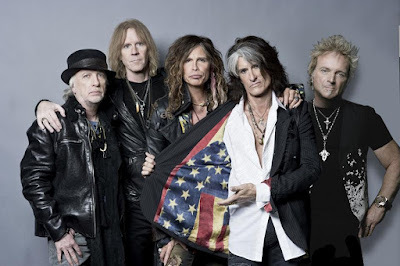 Aerosmith are scheduled to play one US date this year: they’ll perform at the 2017 NCAA March Madness Music Festival in conjunction with the 2017 NCAA Men’s Final Four in Phoeniz, AZ on April 2.